Afraid of needles? You are not alone. Many people share that fear but find that they can still give blood. What most say is that the slight initial pinch pales in comparison to the feeling of accomplishment they get at the end of a successful donation. Make yourself familiar with the blood donation process this will help you feel prepared for each step. And feel free to ask questions if you want to learn more. You don’t have to look at the donation procedure. Bring a music player with you, read a book, talk with our staff or just close your eyes and relax. 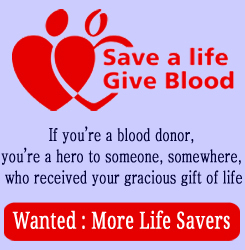 Focus on the lives you may be helping to save by donating blood. 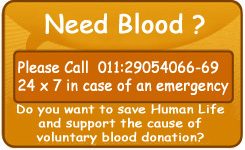 By giving a single unit of blood, you may help save as many as three lives. You will feel just a slight pinch, and it’s over in seconds. The difference you can make may last a lifetime.